Last week, the New Jersey Horror Con and Film Festival took over the Showboat Hotel in Atlantic City, New Jersey. Horror fans and gorehounds got a chance to mingle with their favorite genre icons, get autographs and photos, take in Q&A panels, and more. While you may go to conventions for the celebrities or the films, many go for the MERCH! And there were countless vendors there offering anything a true horror fans could ask for. You had your standard t-shirts, pop-toys, and collectibles. But I want to highlight a few vendors who stood out amongst the sea of horror-themed merchandise. You can’t go to a film festival without checking out a bunch of films right?! The New Jersey Horror Con and Film Festival took over the Showboat Hotel on the Atlantic City Boardwalk last week and unleashed a three-day film festival combining shorts and feature-length films from up and coming genre filmmakers. While I was bouncing around from the show floor to Q&A panels and more, I managed to take in a few excellent short films and a crazy feature that horror fans should look out for. 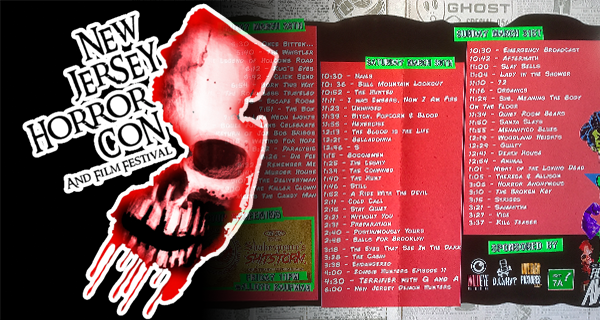 This year’s New Jersey Horror Con and Film Festival rocked the Showboat Hotel on the Atlantic City Boardwalk from Friday March 29th – Sunday March 31st. Over the three days, the festival saw record crowds pouring in to meet celebrities, take photos, watch horror films, get autographs, cosplay, and buy tons of merch. 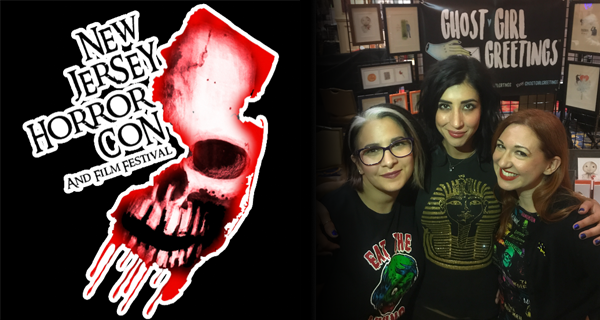 Saturday specifically was the highest selling day in NJ Horror Con history. 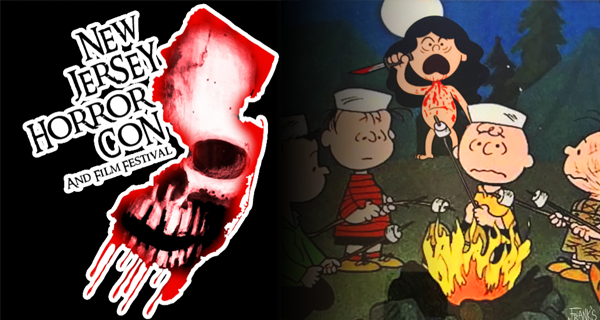 So what is it that separates the NJ Horror Con from other small fan conventions? Co-founder Ryan Scott Weber and his crew put together all sorts of crazy experiences that turn the volume up to 11 for horror fans and gorehounds. 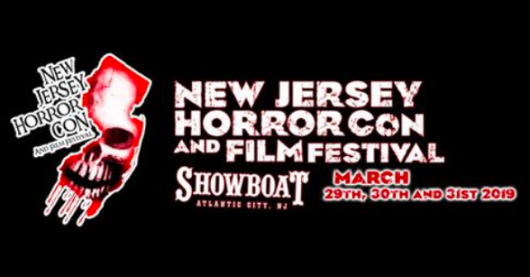 Horror returns to the Boardwalk in Atlantic City this month, as the New Jersey Horror Con and Film Festival (NJHCFF) hits the Showboat Hotel March 29th through the 31st. After a successful show last September, this year’s event will include countless well-known celebrities from the worlds of horror and sci-fi, rock and roll, and pro wrestling and will feature exclusive Q&A panels, special events, hundreds of vendors, cosplay contests, photo ops, and more! At any gathering of geek culture there is an array of awesome merch for fans to get their hands on. It was no different at the New Jersey Horror Con and Film Festival last weekend at the Showboat Hotel in Atlantic City, NJ. 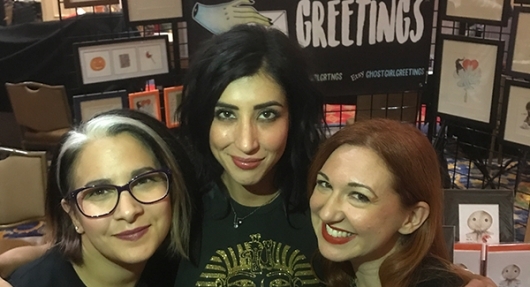 While many attendees show up to get photos with their favorite horror celebrities or take part in Q&A panels, many others are just there to shop. Being a horror convention, you can expect some crazy vendors dealing in masks, replica weapons, genre art, and even horror-themed food and drink. Here are a few vendors that stood out over the weekend. Last weekend, the Showboat Hotel in Atlantic City was flooded with horror fans for the NJ Horror Con and Film Festival. Many showed up to meet their favorite horror and rock-n-roll celebrities, and take in all the convention aspects such as cool merch, Q&A panels, and photo ops. Others came and stayed for the films. The three-day festival featured nearly 40 short and feature-length films from up and coming genre filmmakers. Many of the filmmakers were there with family and fans to support them in the Wild Eye screening room presented by Wild Eye Releasing. I got a chance to see several films while there and here are a few recommendations. 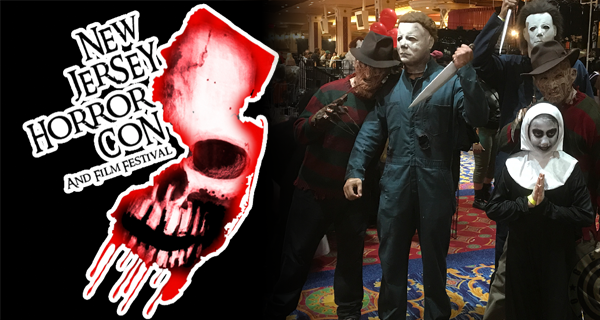 On Friday, the Showboat Hotel and Casino in Atlantic City hosted the first night of the 2018 New Jersey Horror Con and Film Festival. Fans packed in to meet and greet their favorite horror icons, rock gods, and buy as much merch as they could carry. One the highlights of the inaugural evening was Ash vs Evil Dead’s own Kelly Maxwell, Dana DeLorenzo. DeLorenzo was constantly busy throughout the night signing for fans, taking pictures, and empowering young fans. She managed to find a few minutes to come by and discuss what’s next for her after STARZ failed to renew Ash vs Evil Dead for a fourth season earlier this year. Check out the video here below, where she talks about her upcoming film Friendsgiving. If you’re looking for a good scare and can’t wait till Halloween, then mark September 21st-23rd on your calendars. 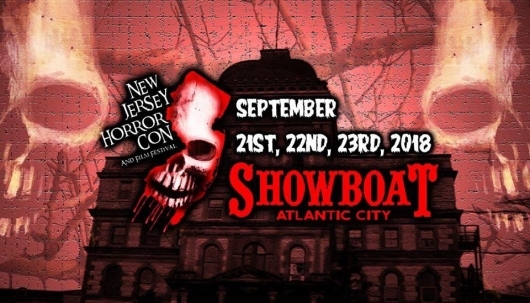 As the season changes from Summer to Fall, this year’s New Jersey Horror Con and Film Festival invades the Showboat Hotel on the Atlantic City Boardwalk, bringing horror movies, celebrities, special events, cosplay, and more. 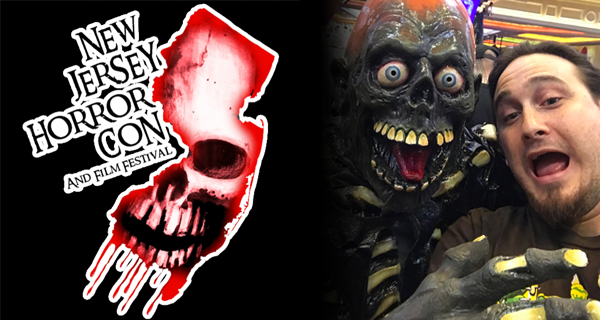 The brainchild of filmmaker/producer Ryan Scott Weber and Comic Book Men producer/pop culturist Rob Bruce, NJ Horror Con and Film Festival is moving to their most ambitious location yet and bringing the tri-state area another killer con. Their massive guest list features over 30 celebrities from the worlds of horror, television, and rock and roll all signing autographs, and posing for photo ops. The film festival will showcase over 25 short and feature length horror films.